Think twice about that iPad. This is a screen shot from an iPhone that was deliberately erased by it’s owner; presumably because it was lost or stolen. As you can see, only the original owner with the original email address and password can active it. This feature is a security measure in the newest releases of the iOS on Apple devices, and it is working…and before giving away or selling your iOS device, be sure to erase your content and settings (in Settings > General > Reset > Erase All Content and Settings). When you erase your content, Find My iPhone and Activation Lock are also turned off. If you hand over your phone to another person (especially if you sell it over the internet and ship it to them) but DON’T erase your content, you can still do it remotely. 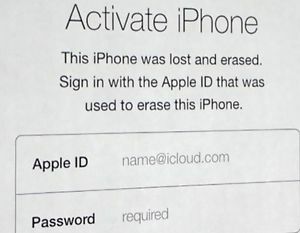 If your phone is “lost” and you don’t want a potential stranger to access your data, you can erase and “deactivate” the phone leaving it worthless to the new owner as shown above. We know what this means when we see this upon boot up at our service lab; typically customers buy a phone second hand not knowing whether the phone has been deactivated and it usually ends up bad for the new purchaser. Buyer beware: if you purchase a used phone and it’s running iOS7 or greater, make sure that the device has been removed from the original purchaser’s accounts or you may end up with an expensive paperweight or in the worst case a stolen device. No one wants that. Anyway, I thought that this was worth talking about as we’ve seen too many customers end up sour about their purchase. I’ll also remind you that if it sounds good to be true, it probably is – but you already knew that! Alrighty- have a great weekend and I may see you at our Mission location tomorrow as we are performing several upgrades to the tech area in the morning. Stop by and say hi!! 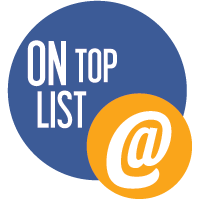 This entry was posted in ipad 2 screen repair, iphone 5, iphone 5C Repair, iphone 5C Repair center, macbook upgrade, mission:repair. Bookmark the permalink.